Serving the following areas in and around the Valley of the Sun: Phoenix, Mesa, Tempe, Scottsdale, Paradise Valley, Ahwatukee, Gilbert, Glendale, Fountain Hills, Peoria, Chandler, Buckeye, Casa Grande and Payson! Call Jim Williams at R Motowerks (S.Central area not far from the airport) Full Stock - Most active dealer in the city!! Mesa - Chandler - New AMSOIL Shop & Supply! - You! We need you. Demand is here for anyone who calls to stock product. Call me at 800-579-0580. Phoenix - Mesa - Tempe - Gilbert - We need dealers in this area as demand is high. Excellent business opportunities! Call Jim. 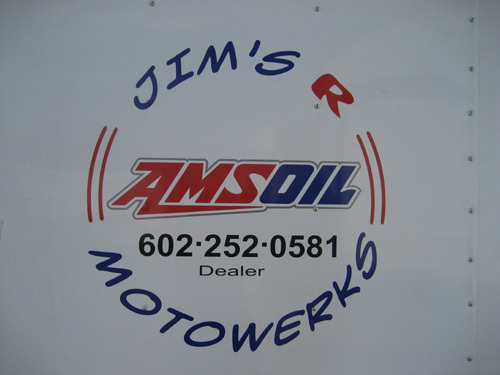 We are the Phoenix - Mesa area's most resourceful AMSOIL Dealer belonging to the fastest growing AMSOIL dealer group in the USA. Look through the main site and request your catalog or just email me for your order. Since there are very few AMSOIL dealers in the area you can depend on us. We should have what you need in stock but if not our warehouse north of the area will have it drop-shipped right to your door.. It's always best to sign-up as a preferred customer. We will soon post any shops where you can buy AMSOIL from but for now I can ship anything to you from our distribution center or you may pick up here in central Mesa. Lately, most people are joining as a Preferred Customer. Just print out the P.C. Form and fill out the information in the Preferred Customer section. Jim Williams , a Certified AMSOIL Dealer, is committed to providing first-time and long-standing customers with the finest AMSOIL Synthetic Motor Oils. We are signing up Preferred Customers all the time, and are enthusiastic about showing new customers the time and money-saving advantages of our products. Most importantly, due to the legendary extended service intervals of AMSOIL Synthetic Motor Oils, AMSOIL is environmentally friendly and saves wear on precious engine parts. Phoenix drivers keep even more money in their pocket with our new (EaA) - absolute efficiency nanofiber air filters guaranteed to last 100,000 miles or 4-years. These hold 50 TIMES the dire a K&N type will. All products are produced in the USA and sold right here in Mesa. Although not Arizona - this article shows just who can depend on Amsoil. Other fire rescue teams have said when these fire trucks work brush fires the engines can't get any intake temps below 120*. When this happens, the oil is jet black in 300 hours. With AMSOIL we have one fire team who says the oil just keps looking like new and oil analysis reflects it. Depend on Amsoil if you want that car operating in the Phoenix Heat to be in the same new condition (engine w/o serious oxidation) 10 years down the road! Putting Amsoil to the test! Minnesota DNR on wild land fire suppression. go anywhere there is a fire. 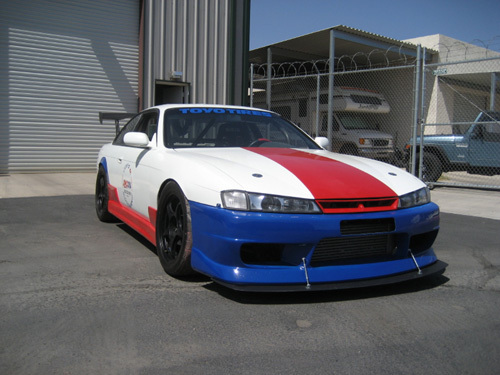 Along with performance, AMSOIL makes sense from a financial standpoint. manufacturers incorporate oil monitoring systems in their newer vehicles that allow motorists to extend drain intervals even further. In its December 2006 issue, Consumer Reports encourages drivers to follow the longer oil change recommendations of vehicle manufacturers, saying, “Although oil companies and quick-lube shops like to promote this idea [that engine oil should be changed every 3,000 miles], it's usually not necessary. Go by the recommended oil-change schedule in your vehicle's owner's manual. Most vehicles driven under normal conditions can go 7,500 miles or more between oil changes. Some models now come with a monitoring system that alerts the driver when the oil needs changing. Most recently, General Motors announced its support of the CIWMB program to educate drivers about oil change intervals. According to GM, standard 3,000-mile oil change recommendations are based on outdated engine and oil technology, and the company instead recommends changing oil based on its Oil Life System. Currently included on over 97 percent of all GM vehicles sold in the U.S., the GM Oil Life System typically allows drivers to extend drain intervals up to 10,000 miles through use of a computer-based software algorithm that measures vehicle operating conditions. With 31 million vehicles on the road equipped with the Oil Life System, GM spokesman Tom Henderson claims following its recommendations rather than the 3,000-mile rule could save 100 million gallons of oil annually. least $60 per year on oil alone (assuming a five-quart sump capacity). AMSOIL customers who pay $8.90 per quart under the same conditions pay only $44.50 per year. improved fuel economy, saving customers money at the pump and reducing the nation’s dependence on foreign oil. It took the increase in fuel prices for a new wave of customers discover what AMSOIL has had to offer for 34 years. What are you waiting for? Call us at 602-309-4490. We are right here on the northeast side of Smoggy Phoenix. A rash of obsolete and contaminated motor oils have recently been popping up for sale at gas stations and convenience stores around the country, prompting state regulators and the Petroleum Quality Institute of America (PQIA) to investigate, warn consumers and sometimes pull products from shelves. Due to stringent quality control measures, AMSOIL Dealers and customers enjoy the peace-of-mind of knowing they receive top-quality AMSOIL products with every purchase. News 12 in New Jersey recently broadcast a three-part “Kane in Your Corner” investigation that found obsolete and contaminated motor oils for sale at gas stations and convenience stores across the state. Because state authorities have not yet stepped in, the onus is on consumers to avoid these harmful products. “The probability of getting some of this bad stuff is pretty high here in New Jersey,” says PQIA President Tom Glenn. As part of the investigation, News 12 purchased four motor oil brands (MaxiGuard, Black Knight, U.S. Economy and US Spirit) readily available in New Jersey and had them tested at an independent lab. The results indicated that all four were unsuitable for use in modern vehicles. While the MaxiGuard label indicated it’s “a superior all weather motor oil,” it also indicated it’s an API SA motor oil, meaning it contains no additives and is unsuitable for vehicles manufactured after 1930. In addition to carrying a long-obsolete specification, lab tests indicated it did not meet the viscosity standards on the label and had significant levels of abrasive contaminants, including silicon levels more than 400 times higher than normal. 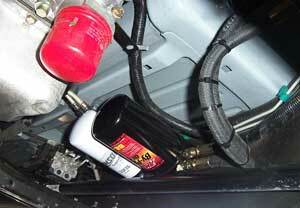 As part of the investigative piece, longtime New Jersey mechanic Kenny Wetzel noted that the MaxiGuard oil looked used right out of the bottle due to its black, cloudy appearance. “That looks like what we take out of a car when we change the oil,” he said. Black Knight Motor Oil was labeled as an API SB motor oil, meaning it contains only a minimal level of additives and is unsuitable for vehicles manufactured after 1951. Lab tests also indicated it was contaminated with significantly higher-than-normal levels of silicon. Its viscosity presented a mystery. Labeled “10-30,” its viscosity tested significantly lower than 10W-30. U.S. Economy Motor Oil did not carry an API specification, but test results showed it had silicon levels 10 times higher than typically found in new motor oil. Like Black Knight, its label also indicated a viscosity grade without a “W.” Labeled “5-30,” the label explained it means the viscosity can be anywhere between 5 and 30. Not only did test results indicate US Spirit is unsafe for modern vehicles, the small print on the back label indicated it is “not suitable for use in most gasoline powered automotive engines built after 1930” and “use in modern engines may cause unsatisfactory engine performance or equipment harm.” Labeled as an API SA motor oil and indicating “it contains no additive,” lab tests revealed it is full of additives, but not the right kind for today’s vehicles. State authorities in Michigan and North Carolina have taken action to remove harmful motor oils from store shelves. The North Carolina Department of Agriculture and Consumer Services (NCDA&CS) has launched several investigations into harmful and obsolete motor oils, the latest coming against the Everclear brand. Everclear motor oils failed to meet viscosity claims and were not labeled in accordance with industry standards. The action extended to Everclear brand transmission fluids. Last fall, the Michigan Department of Agriculture and Rural Development removed a number of motor oils from store shelves, including City Star and Bullseye, due to their failures to meet the viscosity grades labeled on the packages. The problems aren’t just limited to smaller oil distributors. Bulk motor oil testing performed by the American Petroleum Institute (API) indicates many motorists may be receiving substandard motor oil when they drop their vehicles off for an oil change. According to the API, it purchased and tested more than 1,000 samples from bulk motor oil tanks throughout North America over the past five years, and nearly 20 percent failed API performance standards. 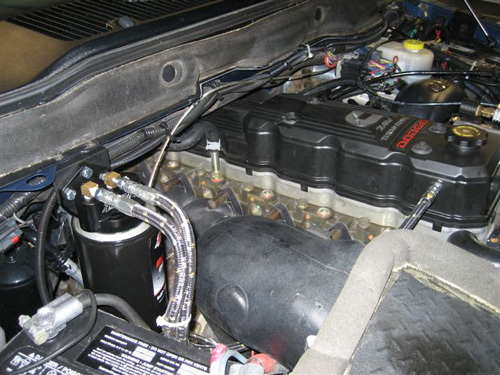 In January, PQIA issued an advisory for Valvoline NextGen 5W-20 Motor Oil. After twice testing a sample of the oil acquired at a retail store in New Jersey, PQIA determined it did not meet volatility requirements set by the API and the International Lubricants Standardization and Approval Committee (ILSAC). While the sample passed viscosity and elemental requirements for the API SN and ILSAC GF-5 specifications, its weight losses of 18.4 and 18.3 percent in the NOACK Volatility Test (ASTM D5800) are about 22 percent higher than the 15 percent maximum required for the specifications. AMSOIL 0W20 Synthetic Motor Oil - the only 0W20 you can trust in these hot climates! !